Advertising space is available in the Oceanic Art Society (OAS) Journal and on this website. The service is provided primarily to OAS members and to institutions or companies with an OAS member on their staff, or interests in common with the OAS. 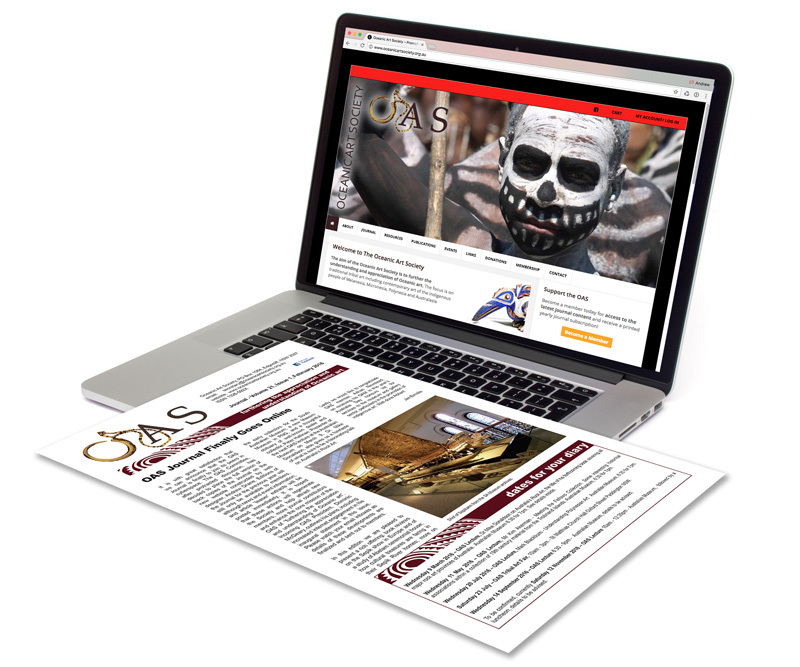 The printed version of the OAS Journal is published 4 times yearly. The journal is also published online with banner advertising available on rotation throughout the site (including the home page). Advertisers are also entitled to an entry on the Links page of this website. A PDF file of minimum 300dpi, CMYK, all fonts embedded. A website page address to which the banner will be linked must be supplied. Advertising artwork is to be sent to the Advertising Coordinator, Dr James Elmslie, Vice-President of the Oceanic Art Society and OAS Journal Editor.